Home > News > Uncategorized > DADAA announces new partnership with Telethon! DADAA AND TELETHON JOIN FORCES IN A NEW PROJECT! DADAA is pleased to partner with Channel 7’s Telethon for the first time, with our fresh and original new project, Experience Collider. 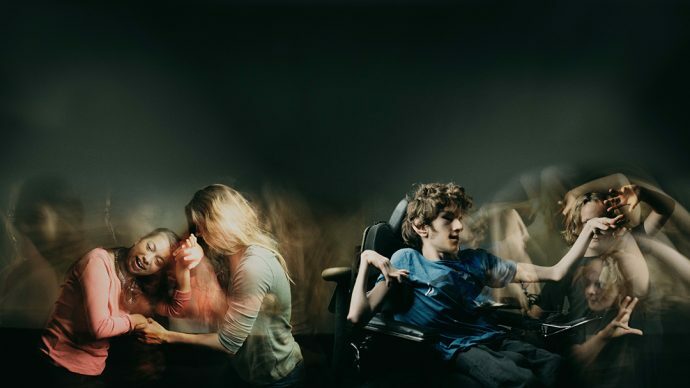 A dynamic arts project designed especially for teenagers with high support needs, Experience Collider offers young people exciting ways to build physical strength, communication skills, confidence and resilience, while developing new friendships and networks to help them connect. Blending digital media with dance, circus and theatre through a series of workshops, Experience Collider will see 13 to 18 year olds working alongside their peers and with leading artists. New ways of performing will be facilitated and participants will be encouraged to be part of a broad ensemble of young people with and without disability. In another first for DADAA, Experience Collider will also involve researchers from the Telethon Kids Institute to further their Quality of Life research program for children with disability. Our creative partner in this exciting project is Circus WA, further enhancing the creative hub that has formed since both organisations co-located to Fremantle’s East End. We look forward to working with Telethon on this exciting new program and thank them for their support!